Listening to an interview with author Khaled Hosseini the other day on NPR about his new novel,And the Mountains Echoed, I was interested in a remark he made about his books. Talking about this book and his two previous best-selling books on Afghanistan, The Kite Runner and A Thousand Splendid Suns, he said, in essence, that he would like to be able to go back and alter things, rewrite things and generally revisit the books. In other words, in his view, his work is not really ever finished, despite being hugely successful in the market place. I think that most creative people must feel this about their work. I know that personally, when I have tried to finish a painting or drawing to the best of my ability, I am sure that I will later look at it again and see things that need to be changed, if possible. With silverpoint drawings, however, that is often a difficult proposition, and even with watercolours, changes are often complicated to make. There is also another dimension to this question of when a work is "finished". Mark Rothko, for instance, was very conscious of the fact that he needed to achieve a communion with his public in each painting, to reach out to the viewer and establish a bond. Without that dialogue, the work would never be completed. 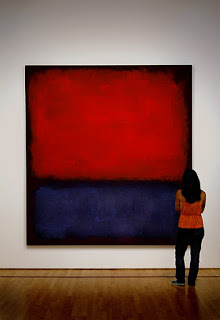 Rothko himself might have applied the last brush strokes, but that was merely the beginning, not the end of the creative act, for him. The viewer had to play his or her part in the creative act, becoming an active partner in the painting. 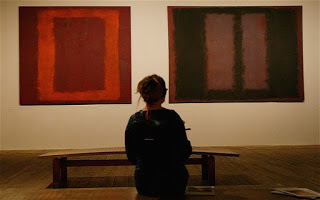 Hardly surprising that amid the many reproductions on the Web of wonderful glowing Rothko paintings from the late 1940s onwards, there are many images of people communing with his works in the museum galleries. 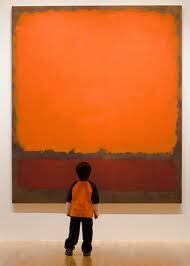 Rothko himself said, "Silence is so accurate". This open-endedness about defining his work and its stage of completion allowed each viewer to expand and clarify the painting. Every artist, writer, musician or creator becomes aware that while a work may seemingly be "finished", it seldom is. But there comes a point when the work has to be cast off into the world to stand on its own feet, at least for a while.